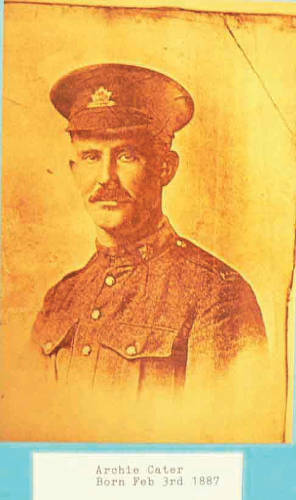 Many local families lost loved ones during the First World War and in Iron Acton the Cater family were hit particularly hard. John and his wife Sabina lost three sons, Archie, Frank and Hubert. 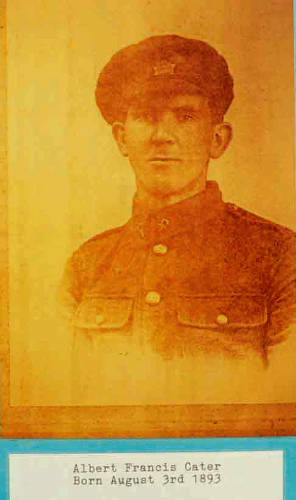 The boys had gone to Canada in 1907 but joined the Canadian army and returned to Europe to fight. Local residents decided to recognise the services given by men from the parish by raising funds to buy a village hall. Two empty cottages in the High Street were converted into a village hall. When finished it was used by the Boys Club, Women’s Institute, Guides, Scouts and other organisations. Acton Court contributed to the war effort by maximising the output from the land to contribute to feeding the nation but by 1918, the land was in such foul condition that it could not be re-let. 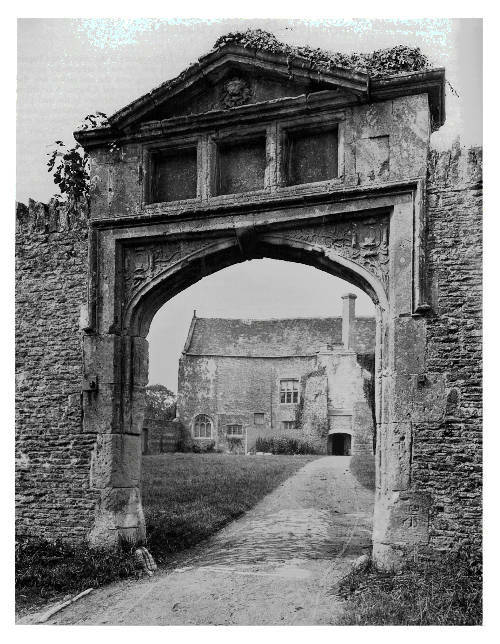 Acton court in the First World War – a view hardly changed 100 years later. Albert Francis Cater born 3 August 1893. Archie Cater born 3 February 1887.